Before we left on our trip we watched as many food shows and travel shows as we could about Oaxaca and Puerto Escondido, Mexico. 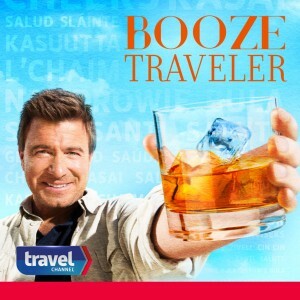 One I like is The Travel Channels Booze Traveler with Jack Maxwell. He goes to places and experiences them through the local drinks. Tequila in Guadalajara, Vodka in Russia, etc. I had wondered why they hadn’t done a show in Oaxaca – as it is famous for Mescal. 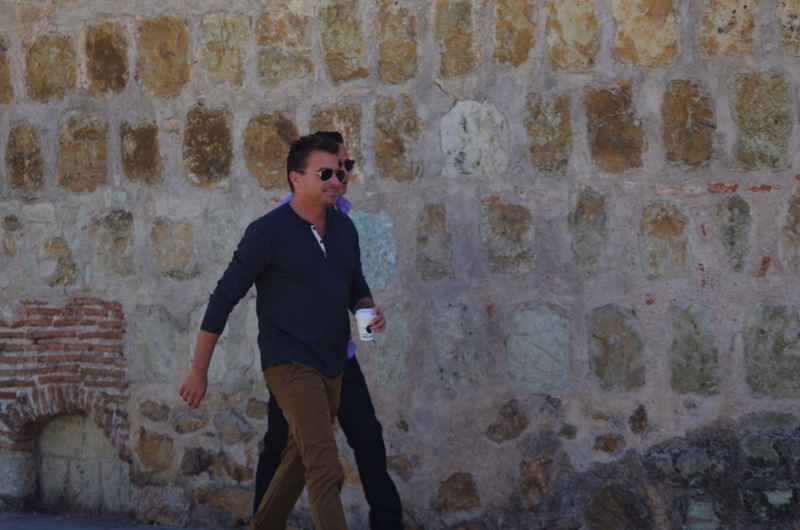 As we were walking on the Calle Macedonio Alcalá (which is closed to traffic) I spotted Jack Maxwell hanging out beside a coffee place, with his standard coffee cup – in hand. 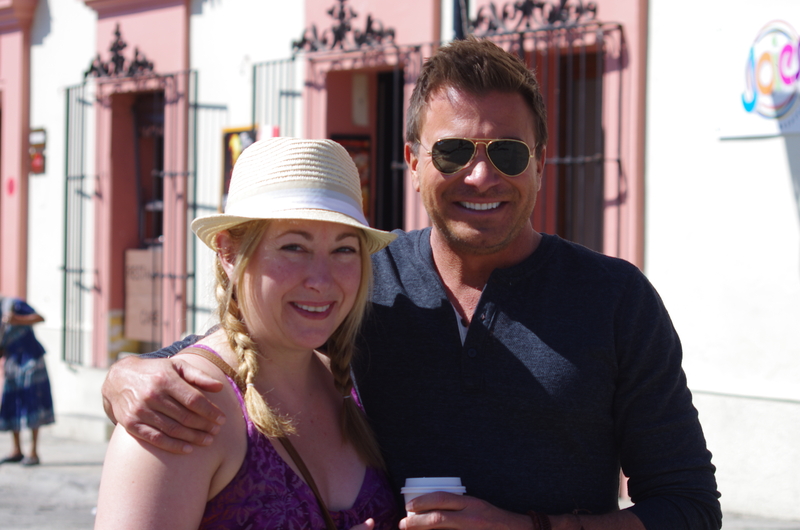 I yelled out that I liked the show and asked if he would take a pic with Karen – which he did gladly. We watched them film some scenes for the show, and tried to get into the background without being obvious. They had quite a small nimble crew. As we walked up a artirial street a bit later, he saw us and got out of his car to say hi and “nice to meet you!” – which was nice. Really does seem to be a nice guy. Share this - choose how! I am a graphic designer and photographer who works from home. I lived in Vancouver for 7 years and enjoyed exploring Chinatown on Sundays for new crazy foods. The abundance of fresh and different foods in Vancouver stirred my curiosity. I have been playing with my food ever since.